Fifteen years ago, I left figurative painting behind and began my journey into clay. In clay, form is my most important consideration. The finishes on my clay sculptures always defined the piece in either light porcelain or dark iron oxide....now bright color has come to me begging to be included. I'm using the same color pallet and the same oil paints that defined my years as a painter. 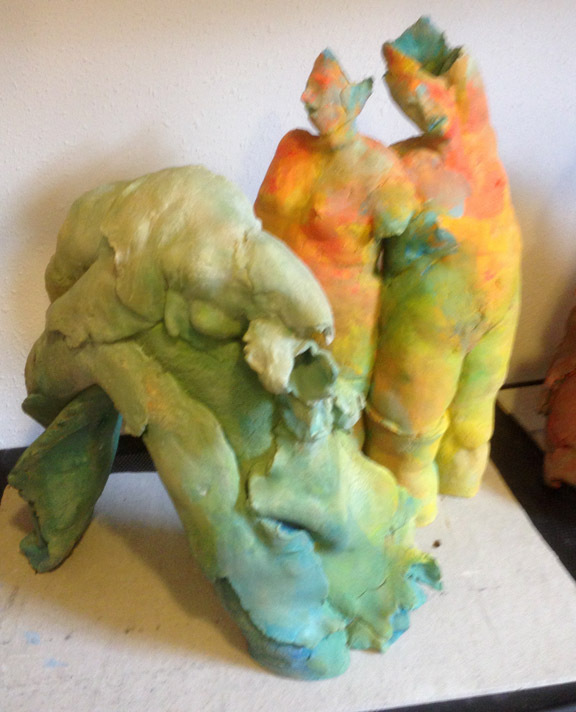 I see that My bright color sculptures are an extension of those earlier paintings.